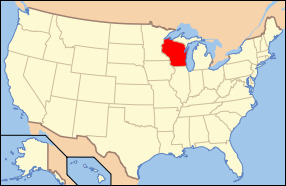 Wisconsin is a midwestern state with coastlines on 2 Great Lakes, Michigan and Superior, and an interior of forests and farms. Milwaukee, the largest city, is known for the Milwaukee Public Museum, with its numerous re-created international villages, and the Harley-Davidson Museum, displaying classic motorcycles. Many beer companies are based here, and several offer brewery tours. The charming state of Wisconsin embodies the perfect balance between busy cities and quaint country towns. Whether you and your family are fishing the incredible Great Lakes or absorbing the mystique of Lambeau Field in Green Bay, an unforgettable traveling experience surely awaits your beckoning call. Wisconsin's wide array of entertainment opportunities provide fun for the whole family. America's cheese capital ranks among the nation's preferred destinations for water recreation tourism on account of the large number of rivers and lakes. Wisconsin houses a rich Native American history, as well as a legacy of unparalleled dairy production. Milwaukee, despite Madison being the state's capital, is Wisconsin's largest city. With a growing population totaling just under two million, Milwaukee is one of the thirty largest cities in America. Milwaukee, beautifully located on Lake Michigan’s southern shore, is wealthy with European tradition inspired by mass German immigration into Wisconsin in the 1850's. With their luggage, German immigrants brought what is perhaps Milwaukee's most prideful industry; beer brewing. At some juncture in history, Milwaukee was home to four of the largest breweries on the planet. Miller Brewing Company still calls the great city of Milwaukee home to this day. Touring historical breweries in Milwaukee is a fantastic experience for beer lovers. In the modest town of Green Bay, Wisconsin in the summer of 1919, Earl Lambeau founded the state's first professional football team; The Green Bay Packers. Not a sole in quaint Green Bay could have predicted the historically rich legacy the Packers have had and continue to have. Lifted up on the shoulders of legends such as Vince Lombardi, Bart Starr, Reggie White, and an ageless Brett Favre, the Packers' legacy can only be described as a win. Today, the Packers still call Green Bay home. Despite being the least populous city to house a National Football League team, Green Bay continues to draw millions of fans each year and is considered a football haven by students of the game. The Packers still spend Sundays playing on a field named after its founder. Lambeau Field in Green Bay, Wisconsin is one of a kind and a must visit for anyone traveling to the state. The state of Wisconsin continues to rank among the top travel destinations in the continental United States. It's versatile entertainment outlets, as well as the geography's given aesthetic beauties and, of course, the delicious cheeses, make Wisconsin a truly unique tourism experience. Wisconsin possesses a proud and appealing culture richly influenced by European immigrants. 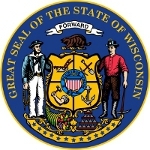 Because of the state's diverse culture, Wisconsin stands a microcosm of American ideals.